Sue Gordon, deputy director of the National Geospatial-Intelligence Agency, has told agency personnel that a new initiative will work to streamline NGA’s acquisition system through changes in organizational structure and decision-making authority. NGA said Tuesday Gordon sent employees a letter on the agency’s acquisition reform plan, which she said is based on discussions with senior leaders on perceived barriers to efficient acquisition programs at the agency. Gordon said in the open letter to the NGA workforce the findings point to what the agency says are needed changes in areas such as portfolio management, the acquisition governance structure and the organizational placement of the component acquisition executive. 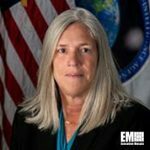 She plans to align the CAE and deputy CAE positions with the director of plans and programs rather than the chief information officer, as well as hire a capability program manager for each portfolio management team. Planned changes to the acquisition governance structure include the specific functions of the mission integration board, portfolio integration board, National System for Geospatial Intelligence acquisition review board, contract review board and acquisition working group.